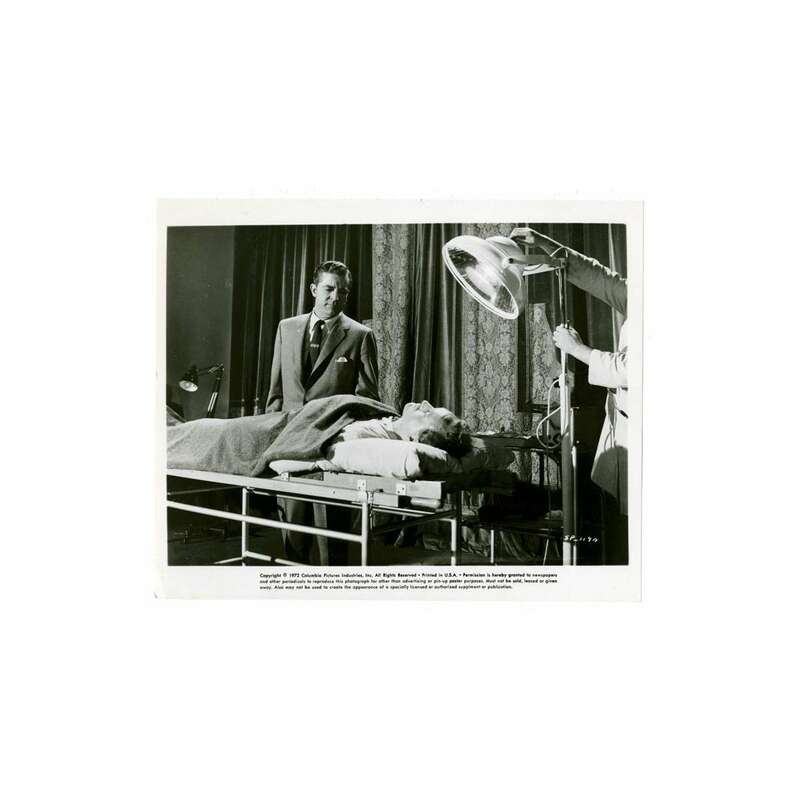 > Lobby Cards and Photos>Movie Stills>CURSE OF THE DEMON 8x10 still R72 Dana Andrews examining dead body on morgue table! 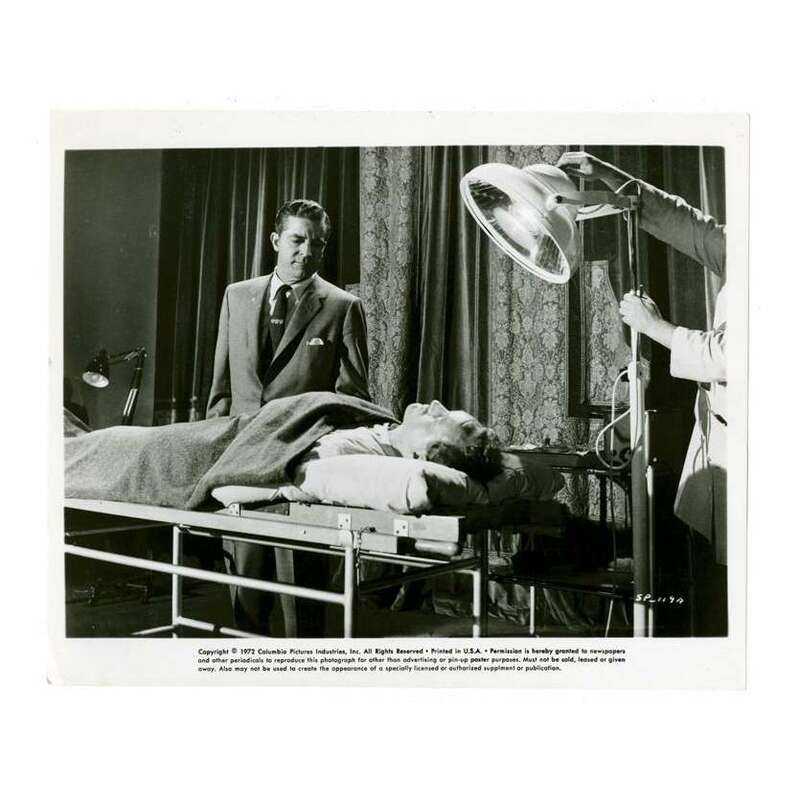 CURSE OF THE DEMON 8x10 still R72 Dana Andrews examining dead body on morgue table! A 1972 Re-release Vintage Theater-Used 8" x 10" (8x10) Movie Still Condition: Very Good (C6) See our 10 GRADE SYSTEM Page for more information. Night of the Demon is a 1957 British horror film directed by Jacques Tourneur, starring Dana Andrews, Peggy Cummins and Niall MacGinnis. An adaptation of the M. R. James story Casting the Runes (1911), the plot revolves around an American psychologist investigating a satanic cult suspected of more than one murder. The film's production was turbulent due to clashing ideas between producer Hal E. Chester on one side and Jacques Tourneur and writer Charles Bennett on the other. Planned to not show a literal demon, producer Chester REPLACEed a monster over the objections of the writer, director and star Dana Andrews. To accelerate the pace, the film was trimmed down to 83 minutes (and retitled Curse of the Demon) in the US where it played the second half of a double feature with films like The Revenge of Frankenstein (1958).